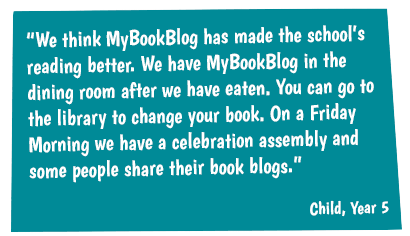 MyBookBlog is an online resource designed to enhance children’s journeys through well-loved stories. 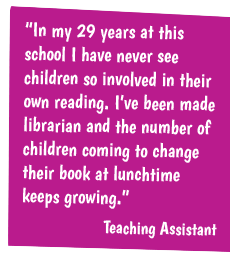 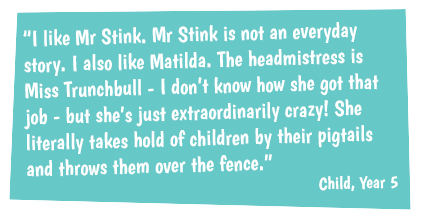 It supports children to choose fantastic books, available in school libraries and bookshops, using blurbs, trailers, reviews, and ratings from other children. 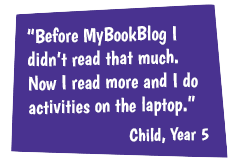 Children can then read their chosen book at home or at school and complete the activities on MyBookBlog at any time.